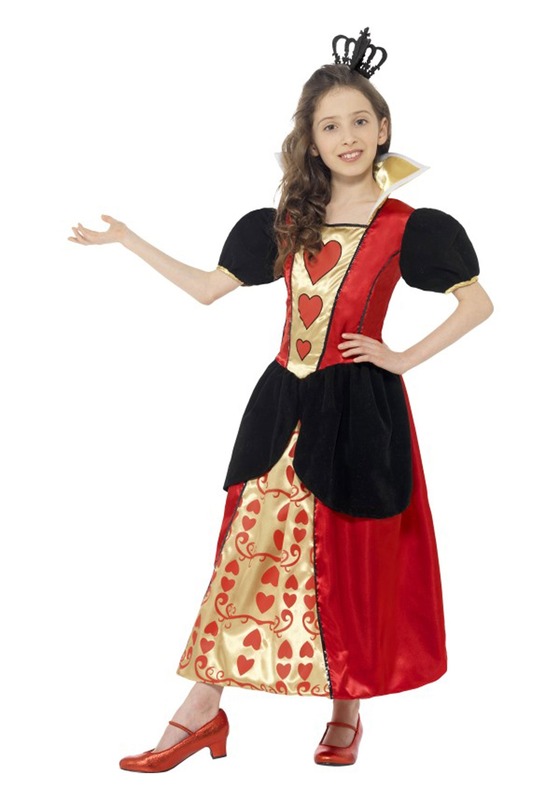 The Queen of Hearts may have been a little bit of a tyrant, but hey! She had standards. Who likes it when their roses get painted? That can't be good for the blossoms. All right, her go-to punishment just might be an extreme response for well-meaning flower graffiti but royalty is royalty and the Queen of Hearts is indeed a queen unless she's just a card . . . hmm, go ask Alice. Your child doesn't just want to be some characterless princess. Damsel in distress just isn't her style. She wants to be an iconic monarch and if she has to be tyrannous to get things moving and shaking? So be it. Little miss Hearts has to have her nonsense stacked right and if doesn't stack up it won't be her who loses her head. Alice has to face many obstacles in Lewis Carrol's classic novel Alice's Adventures in Wonderland but the Queen of Hearts just might be the most dangerous of them all. Luckily, her temper is secretly balanced by a timid King of Hearts who quietly pardons subjects behind his queen's back. 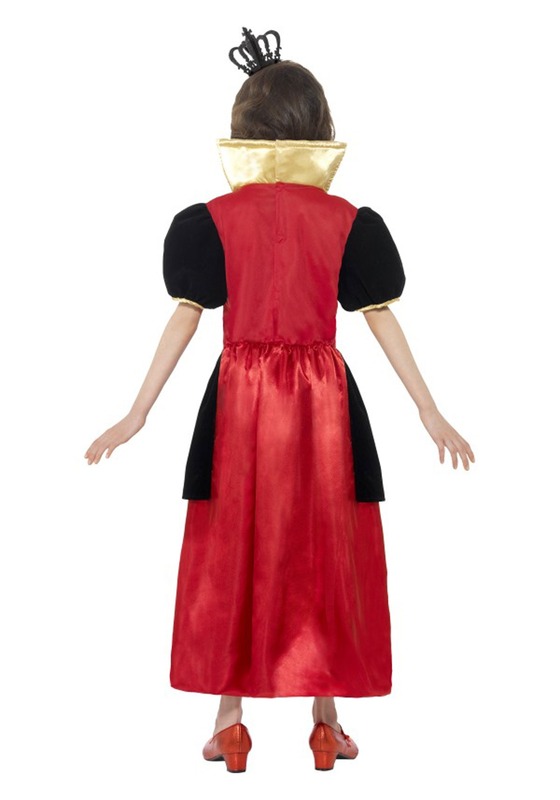 This ensemble will make your kiddo feel queenly indeed. With an A-line skirt, velvet puffed sleeves, and puffs on the waist she will look like she stepped out of a playing card. Whether she's dressing up for the school play or trick-or-treating with Alice and the Cheshire cat she'll look right at home hollering, "Off with their heads!". Just be sure to be there to pardon her victims.